In the wake of the threat to kill Facebook on November 5, 2011 by hacker collective Anonymous, the historical figure Guy Fawkes is starting to be looked at pretty intensely. It is apparent that Anonymous is emulating the threat, or the date, of where Guy Fawkes threatened to take down Parliament on November 5th. Ironically, Guy Fawkes failed his mission. So it seems to me that the same fate will follow Anonymous. 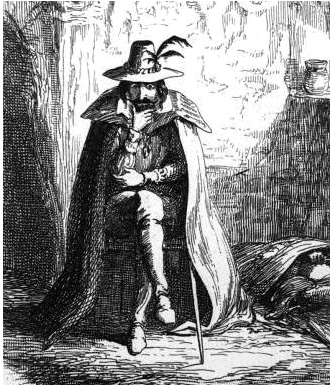 In fact, according to Wikipedia, November 5 was the date that Guy Fawkes was captured for his spoiled attempt. Again, I would say that Guy Fawkes is probably the wrong guy for Anonymous to be emulating their mission to destroy Facebook after. Watch the video threat from Anonymous kill Facebook on November 5.